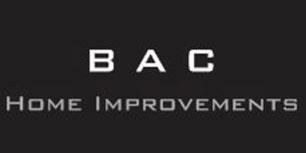 BAC Home Improvements Ltd - Bathrooms, Bedrooms, Kitchens based in Worcester Park, Surrey. B A C HOME IMPROVEMENTS was founded in 2017 by Director and Owner, Ben Clarke. After a 4 year appreticeship and a further 4 years then working along side his Dad, who also owns his own building company, he has developed a full skill set in the industry covering multiple trades including but not limited to; kitchen and bathroom fitting, carpentry, tiling and plastering. Over these 7 years he has been a part of many projects and proudly says that he has been taught by some of the best tradesman in the industry. He prides himself greatly on the quality of his work and what his company has to offer which is what differentiates B A C Home Improvements from all other companies in the industry. Surrey & London - London Borough of Sutton, Epsom & Ewell, Merton, Reigate and Banstead, Wimbledon and Raynes Park, Woking.